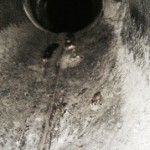 Hazardous Level: Leaving the pest-bird nest, bird in vent can be dangerous since bacteria, parasites, and bird mites cause serious health risks for your family and home. Multiplication Level: Nesting usually begins in April. Starlings typically lay 4-6 eggs and incubate for 11-13 days. Adults can nest 3 times per year. European Starlings are found all over Ontario. 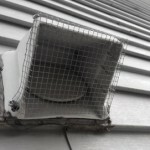 Known to most as nuisance birds commonly nest in stove exhaust vents, bird in vent, dryer exhaust vents, bathroom fan vents, bird control, bird removal, Exclusion Control Solutions, Pest Control Services. Nesting areas can accumulate material that is unsightly and could pose a fire hazard. Starlings, Birds in vent, do not remove material from old nest but keep adding year after year. Birds harbouring in your home can carry Bird mites. If you wait too long the bird mites will quickly multiply. 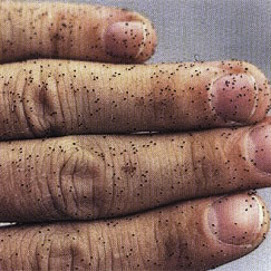 Bird mites are blood sucking parasites that will quickly come looking for you and your family. The popular spots that birds (starlings) like to invade your home is vent pipes (stove, bathroom fan, dryer vents) and holes in your soffit that give them access to your attic. The anypest team will clear the birds and any babies from the infected area. The next step is clearing nesting material and bird feces. [caption id="attachment_429" align="alignright" width="150"] Bird Mite In Ductwork[/caption] [caption id="attachment_431" align="alignright" width="150"] Bird Exclusion[/caption] [caption id="attachment_341" align="alignright" width="150"] Bird Mite Infestation[/caption] The most important step is an Eco friendly sanitize spray of nesting area to kill bird mites and kill harmful bacteria and finally mesh off area and spray foam if necessary. Do starlings carry bird mites? YES Bird mites are small arthropods. The mites are most attracted to pigeons, sparrows and starlings. 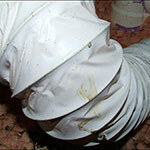 If not treated properly a bird mite infestation is likely to happen in your house. 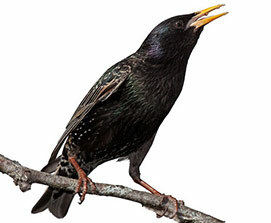 European starlings are tenacious, energetic birds that can be aggressive when feeding or nesting. Especially during the breeding season. Can starlings cause property damage? This entry was posted in Pests on 2014/03/20 by Any Pest.